In the sea that just woke up from the Winter&apos;s homothermy, in the brightest period of the year going from the Spring equinox to the Autumn, warmed by the sun which resumes its journey toward the zenith, men and tuna since a thousand years have an appointment which both know can&apos;t be missed: the first ones in order to get food and well-being, the latter because only there they can find the clear, warm waters where to reproduce and perpetuate their species. The tuna wander the invisible streets of the sea, always the same, driven by the currents, and the men wait for them with long nets, traps located in large rooms: "LE TONNARE", the tuna fishery. 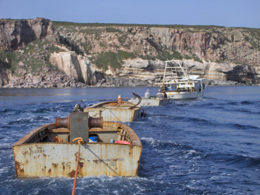 Since the beginning of May to mid-June, the period of fishing for the "Tuna race" (il tonno di corsa), we offer for the certified divers the unique opportunity to dive in the tuna fishery... an experience not to be missed! (see the video) The tuna fishery is a complex of nets/traps and is divided into rooms that are arranged in a row and communicate with each other by doors, also consist of pieces of nets. The tuna, repeating year after year the same route, ends up in these rooms. This type of dive takes place inside a system of huge rectangles made of nets, ranging from a depth of about -40mt to the surface. 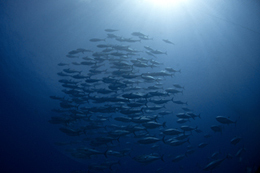 Here you can see schools of tuna from 100 to 300 kg., with a size from 80 to 200 cm. 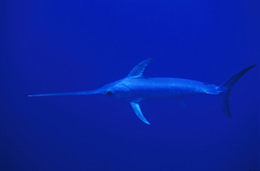 and, sometimes, you may meet also swordfish and sunfish, and even big yellowtail and sea turtles. 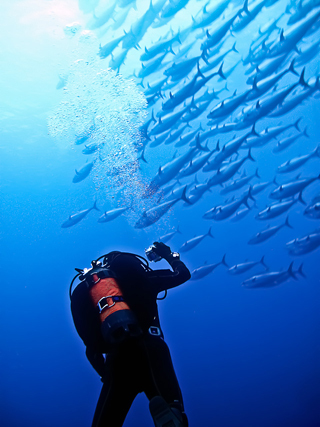 The dives are conducted in small groups of divers, accompanied by a professional expert of tuna and guidance of our staff. 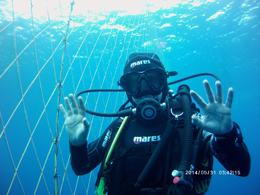 It is allowed, for freedivers, to dive into the trap supervised by the site&apos;s operators; also non-divers can go snorkeling and observe the tuna from the surface. 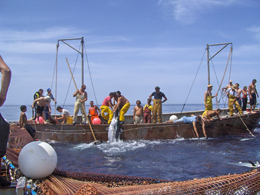 Is also possible, upon request, to assist at the ancient ritual of "slaughter" ("la mattanza"), the famous tuna fishing. 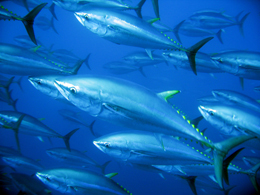 When the Rais (the leader of the tuna fishery) estimates that the number of tuna is sufficient, and if weather conditions are favorable, the tuna are "induced" to enter the death chamber where they remain trapped. 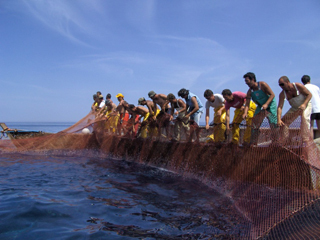 The tuna fishermen (i tonnarotti), who are on the boats arranged along the four sides of the room, under the command of the Rais, pull up the net. The tuna sensing the lack of water and struggling, violently collide with each other andget injured. When the tuna are exhausted, the tuna fishermen are waiting for them with their crocchi, deadly hooks mounted on rods, which are used to hook fish and hoist them on the boats. The slaughter is a bloody and cruel event and, at the same time, a very emotional one; every year it attracts many spectators, eager to participate, as observers, to this profound ritual, evidence of an ancient history. 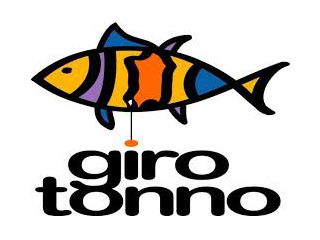 Reaching the island in the early days of June, you can also participate to the "Girotonno": four days of show cooking, workshops, tastings and events... not to be missed!